Barbers make other people look good by cutting their hair in different styles along with other services like shaving, massaging etc. Moreover, they also make people feel relaxed by having good conversations with them. If you like talking to other people and interacting with them on regular basis, you can easily become a good barber. All you have to do is to spend some time to learn the basic skills which are needed to adopt the profession. There are many barbers who earn a lot of money and are world famous because of their consistent and trendy innovations. So, if you are looking forward to make some good amount of money, becoming a barber is not a bad choice. First of all, you have to spend few weeks under the shadow of a professional barber. It is the most convenient way to learn the art of shaving and cutting. 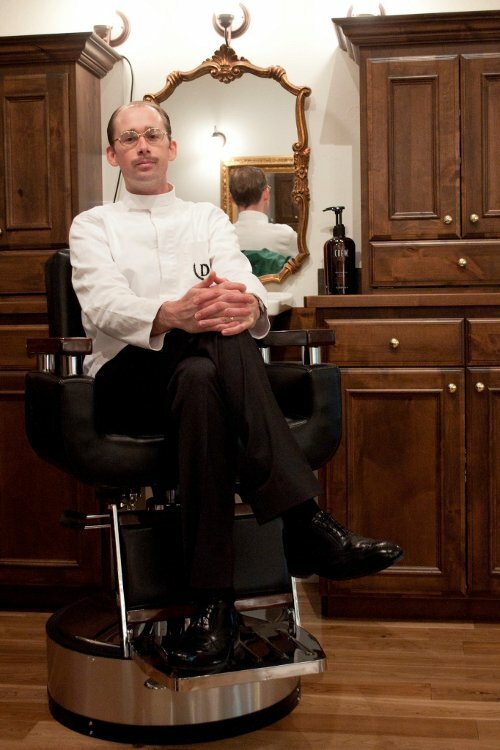 Be attentive and learn as much as you can under the tutelage of a professional barber. Remember, you may to work for free during this phase. It is extremely important for you to be creative in order to become a good barber. You must know that most of the people who go to the barbers don’t know what kind of a style they want. They just tell their barbers to make them look good. Therefore, you must be able to suggest a good hairstyle for them quickly. In most of the states, you will have to acquire a license in order to start working as a barber. The license helps you to make rapid growth in your profession without any hitch. Moreover, you can also work as a barber at renowned saloons after getting the license. After getting experience, you have to set up your own barbershop. The most difficult thing in opening up a shop is to get the necessary funding, especially when you have nothing to invest. So, if you don’t have any money, you will have to take loan from a bank or any other lending institution. You can also seek help from your friends or family members who are willing to invest their money as angel investors. You can pay back their money in installments after you establish your business.